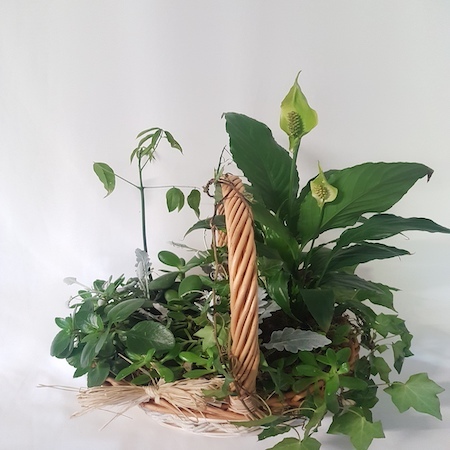 P25 Assorted Green Plants Basket same day delivery in Melbourne, Victoria. Bring the natural fragrance of the great australian outdoors in for nature lovers. Excellent gift to enhance the modern home and a gift to last and enjoyed for as long as they are well looked after. Send a gift of nature today! Large – 2 Bigger Plant and 4 assorted smaller plants As pictured. P25 Green Plants Basket delivered in Melbourne. Send assorted low maintenance green indoor foliage plants, succulents, some small, some bigger, some variegated and textured foliages plants, Flowering Cyclamens, Succulents and lots more assorted and variegated foliage plants for interest and long lasting indoor display.